Accusers witnessed spectral witch meetings on Whipple Hill. If you are standing at the Danvers Witchcraft Victims’ Memorial and look across Hobart Street to the north, you will see Whipple Hill. 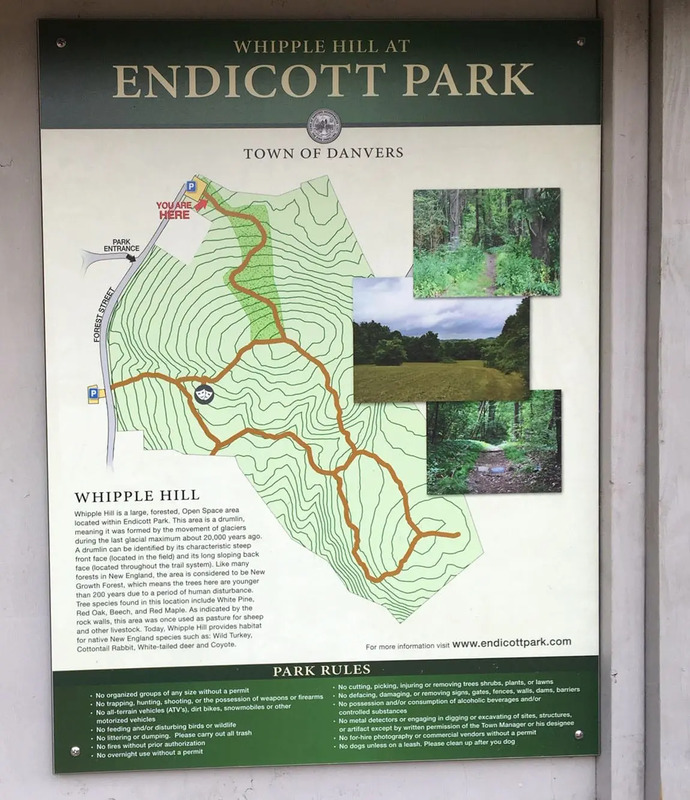 You can also park at Endicott Park on Forest Street and hike up Whipple Hill after crossing Forest Street. The entrance to Whipple Hill from Forest Street.